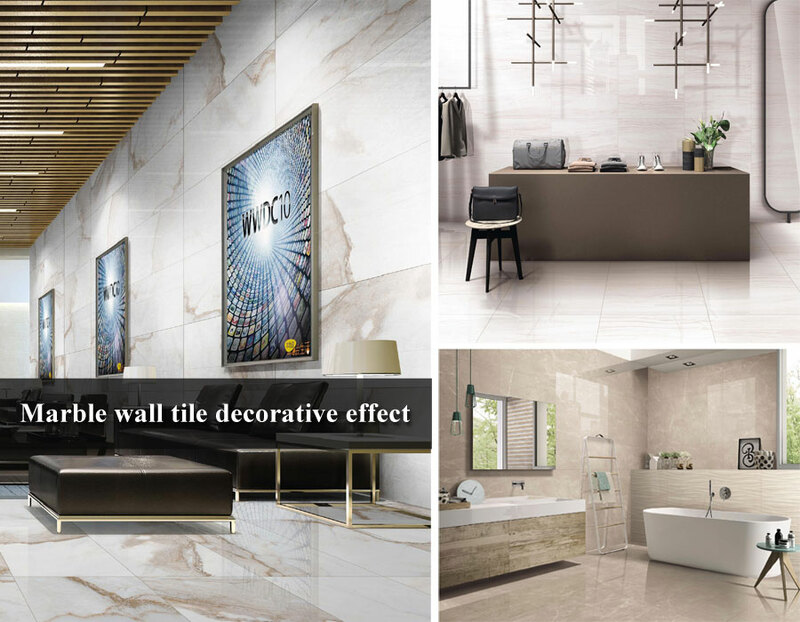 Product categories of Marble Wall Tile, we are specialized manufacturers from China, Marble Wall Panel, Marble Porcelain Tile suppliers/factory, wholesale high-quality products of Marble Look Wall Tile R & D and manufacturing, we have the perfect after-sales service and technical support. Look forward to your cooperation! The marble porcelain tile are mechanically formed by high pressure and calcine at high temperature, which gives a natural beauty. It completely achieves the realistic effect of natural marble in terms of texture, color and touch. Marble wall tile excel in practical performances such as water resistance, flatness, and flexural strength. It completely abandons the defects of natural marble, such as large color difference, sturdiness, easy water seepage, difficult to handle, high price and long supply period. Marble wall panel emergence has provided consumers with new options in the field of high-end decorative materials. 1, Easy to clean, there is a special coating on the surface, which makes the surface very dense. Normal pollution can be cleaned with water. 2, Good waterproof. The water absorption rate is extremely low, so it is excellent in water resistance and can be used in wet places. 3, Chemical corrosion can effectively prevent acid and alkali and other drugs, even if chemicals fall on the tiles do not worry about the tile is corroded. 4, Good durability Inorganic substrate, can prevent insects, anti-ants, anti-corrosion, long service life. 5, Easy to process Simple processing, using ordinary tools can be processed marble wall cladding tile. 6, Energy saving. No formaldehyde, benzene and other harmful gases are released, green and environmentally friendly, no need to worry about being polluted.